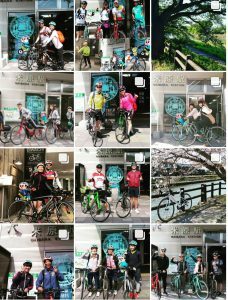 Thank you very much for using BIWAICHI RENTAL CYCLE. We have an information of the days that our rental bike shop is closed. So please check the days as follows and make a reservation. We are afraid that the schedule might be changed. Then we will inform about it you here as soon as we decide. 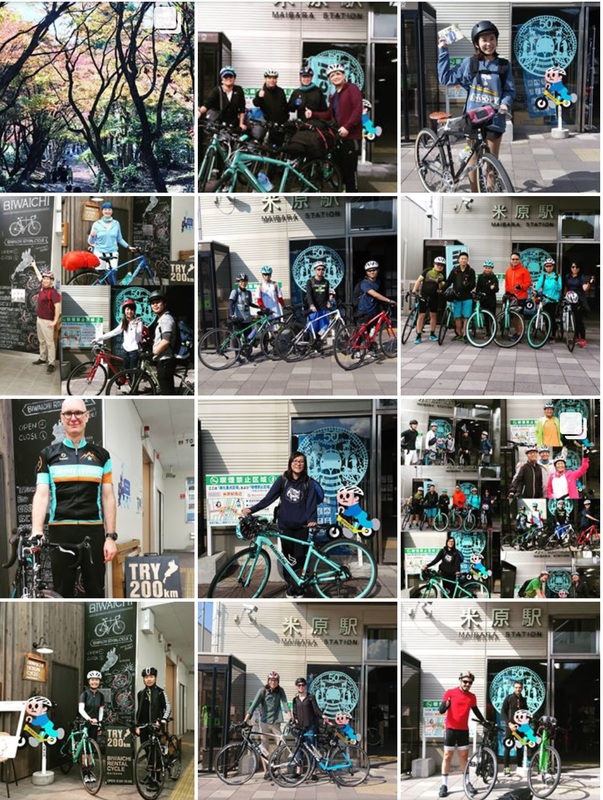 Thank you for using our rental bike shop this year, too. It’s the time again that we should tell you about the winter closing. 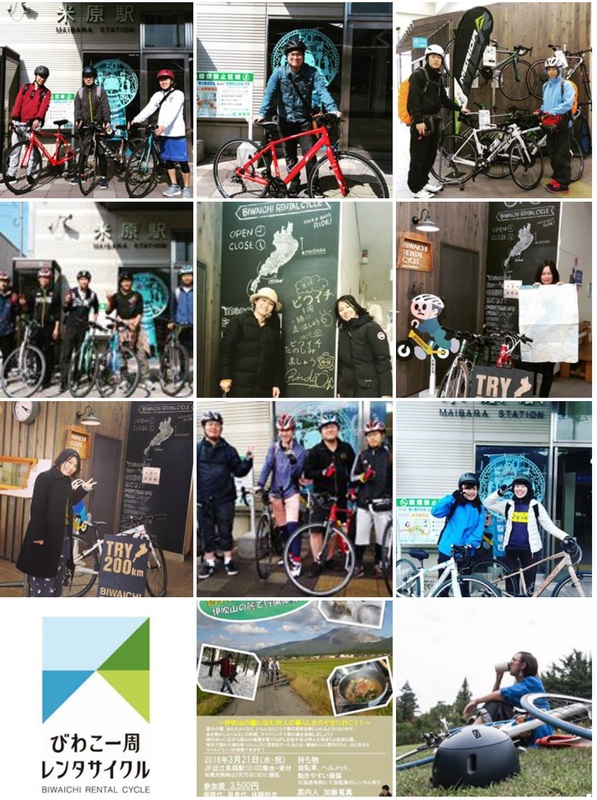 We will close our shop during winter, from December 10th in 2018 to February 22 in 2019. 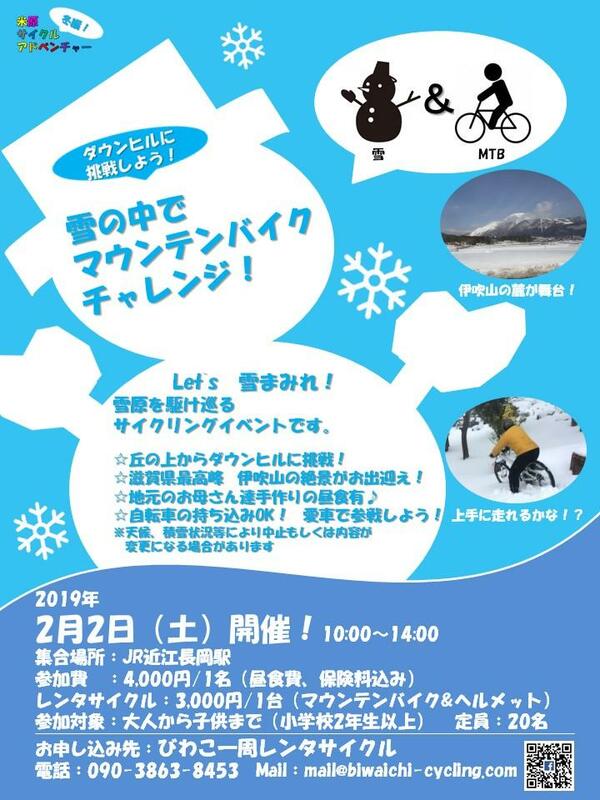 Because here the local area will be covered with snow and it will be so cold, it is not good condition for biking. 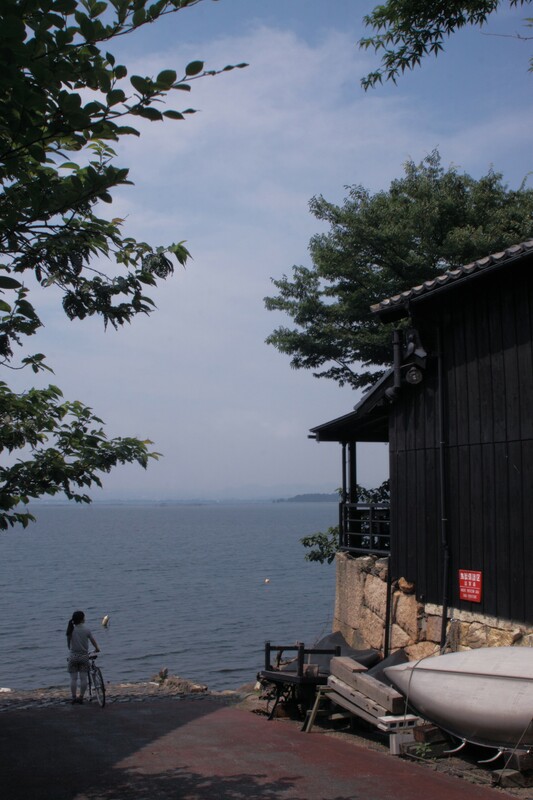 We staffs are going on New Year vacation from Dec. 29 to Jan. 6 in 2019, for 9 days. 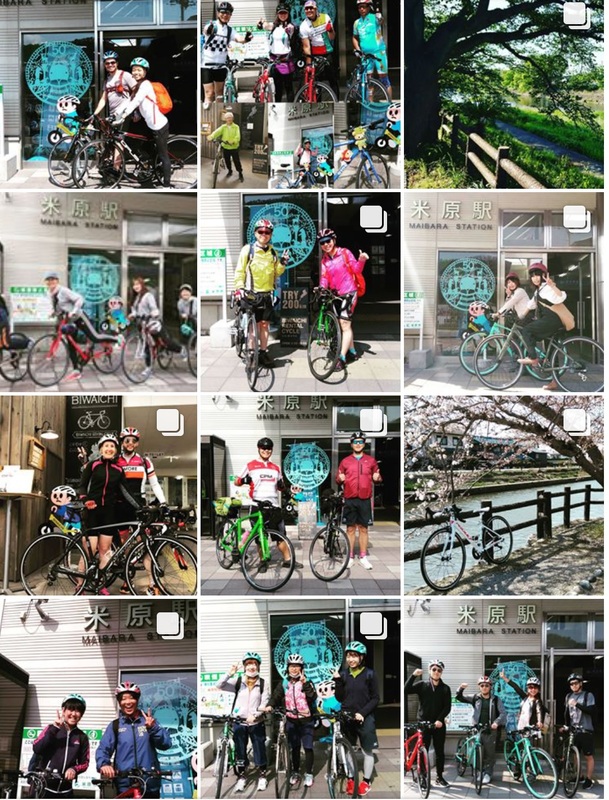 If you have any questions about our service of rental bicycle or cycling around Lake Biwa or some events we announced, please contact us via email or phone after Jan. 6. 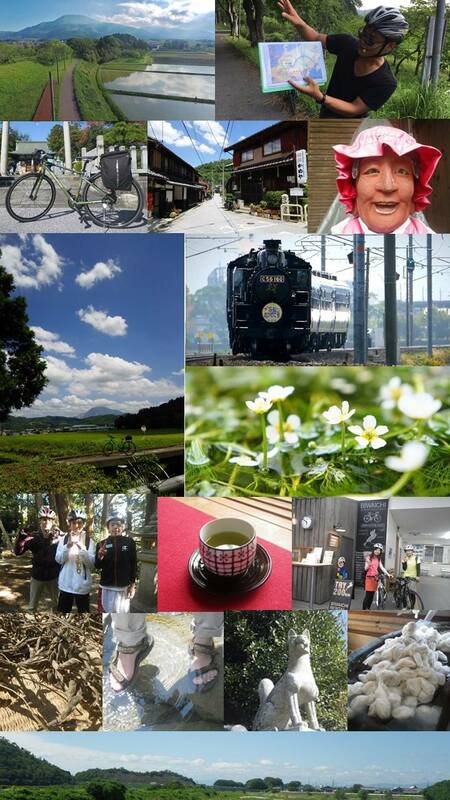 We will start to accept your reservation on February 1st in 2019. 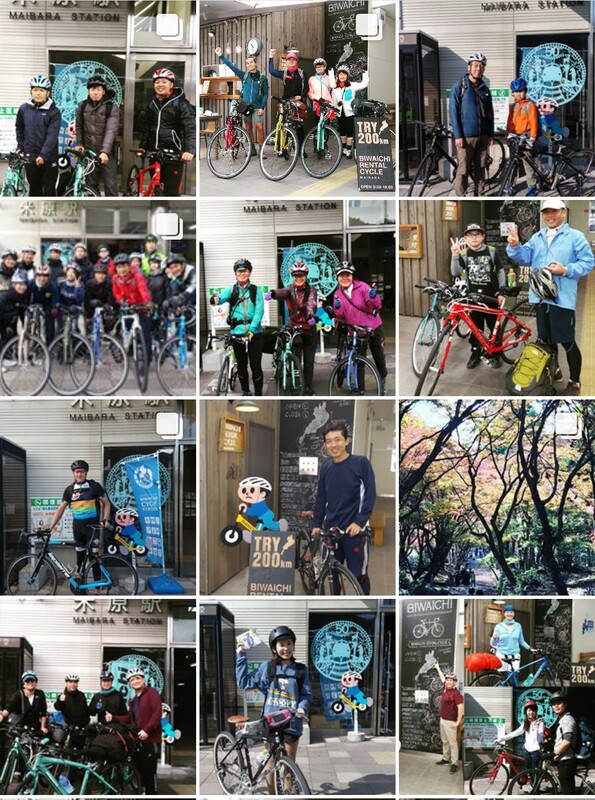 And we will open again our shop and start to rent bikes on February 23, Saturday. Again super thanks for using us. 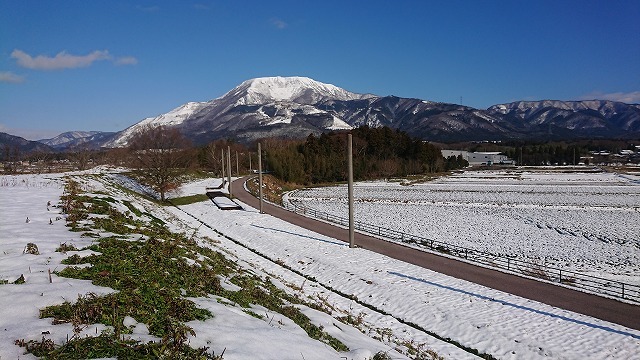 Look forward to nice meeting in 2019! Thank you for using as always. 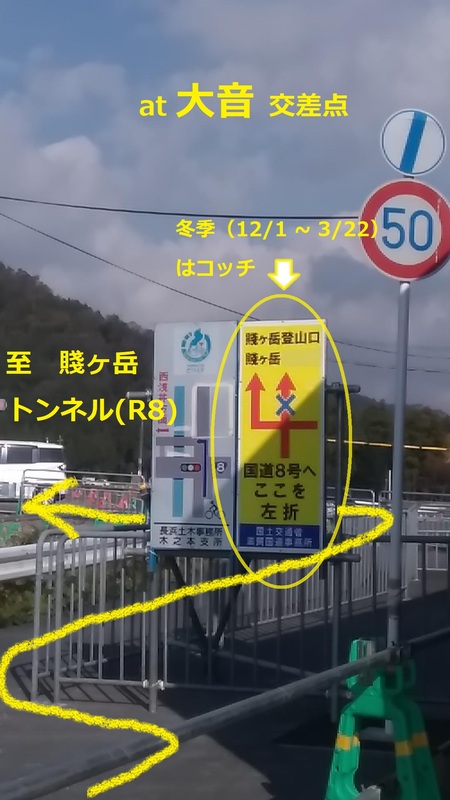 This is an information about some roads closed in the winter, where are a part of BIWAICHI route. 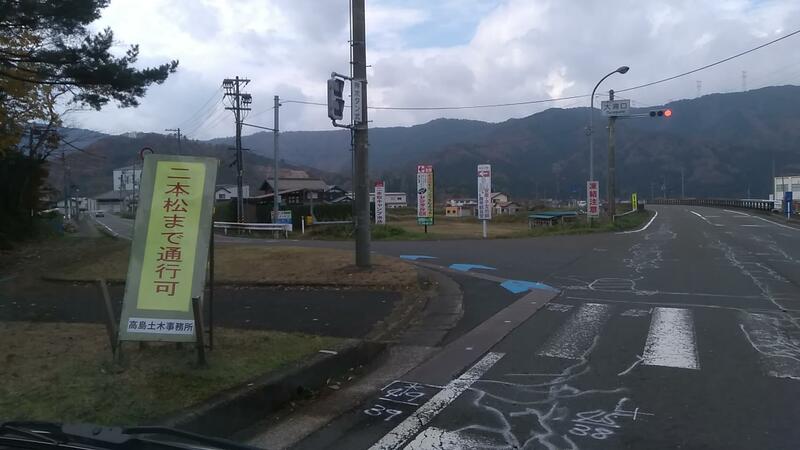 All of the following roads are in the northern area of Lake Biwa. 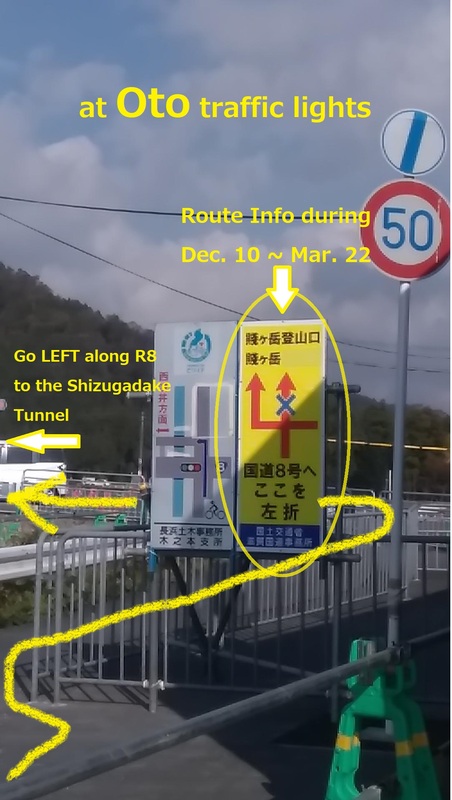 ⇒During this period, you should go through the Shizugadake Tunnel on the national route 8, instead of the Old Shizugadake Tunnel. 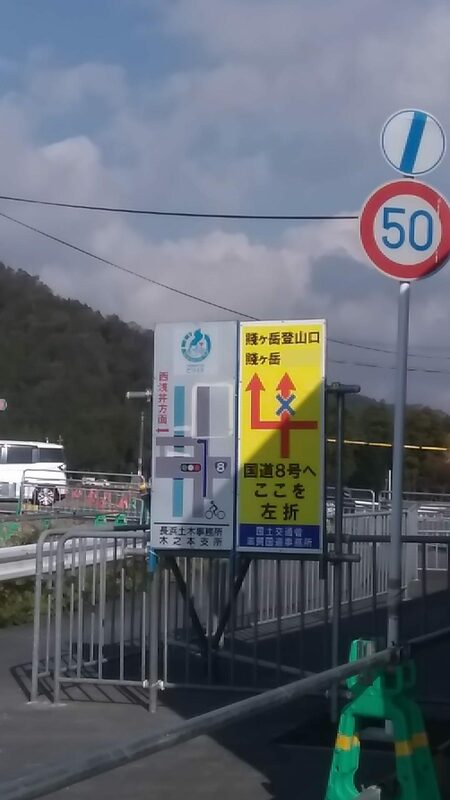 ⇩There are two signboards at the Oto traffic lights and the route during the winter is the right one. Go left along the route 8. 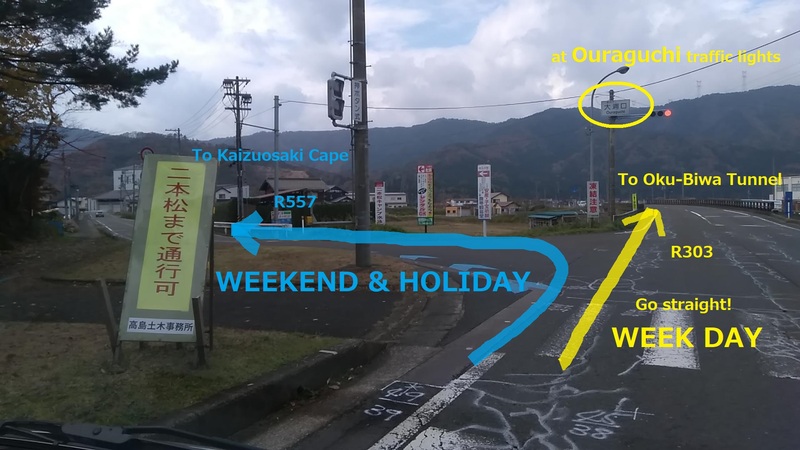 ⇒During this period, you should go through the Oku-Biwa Tunnel on the national route 303, instead of Kaizu-Osaki. ⇩Check the route at the Ouraguchi traffic lights. 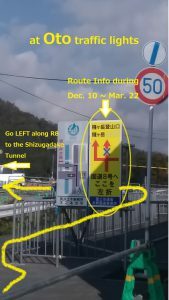 Go straight along the route 303 till the Oku-Biwa Tunnel on weekdays. Turn left to Kaizuosaki following the blue arrows on weekends. The additional information is below. 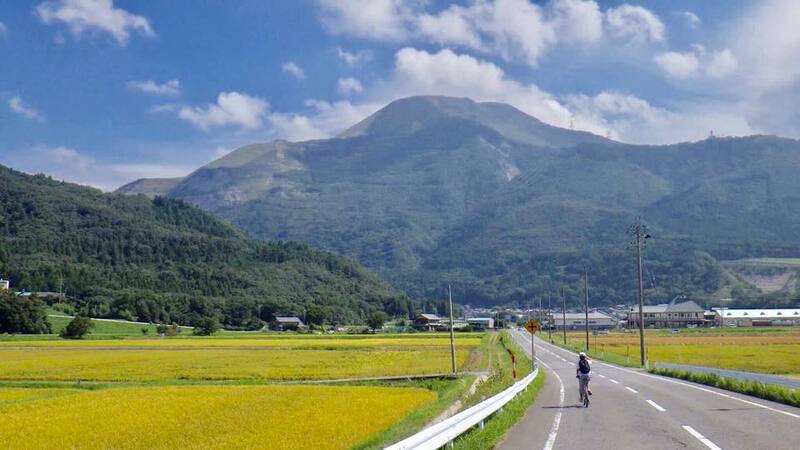 The Oku-Biwako parkway is the one-way road from west side and has many hills, so most of cyclists pass the parkway by going through the Yanokuma Tunnel. Until December 9th（Sun）, it’s possible to go. 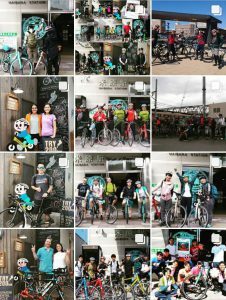 We have an information of the days that our rental bike shop is closed from August to December. This is an attention of traffic control on October 14(Sun). 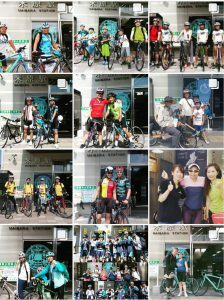 If you are going to come to our shop by car, please pay attention to the traffic control. 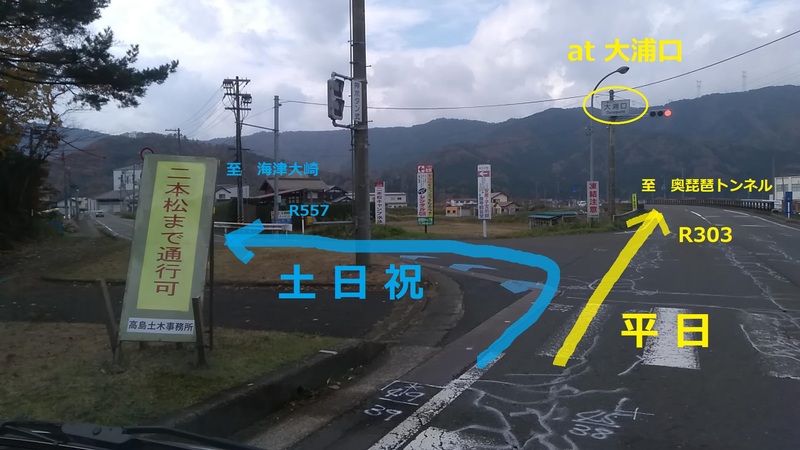 Furthermore, we have the entrance regulation inside Maibara station from 3:30 pm to 4:30 pm on that day, and no entry past here. 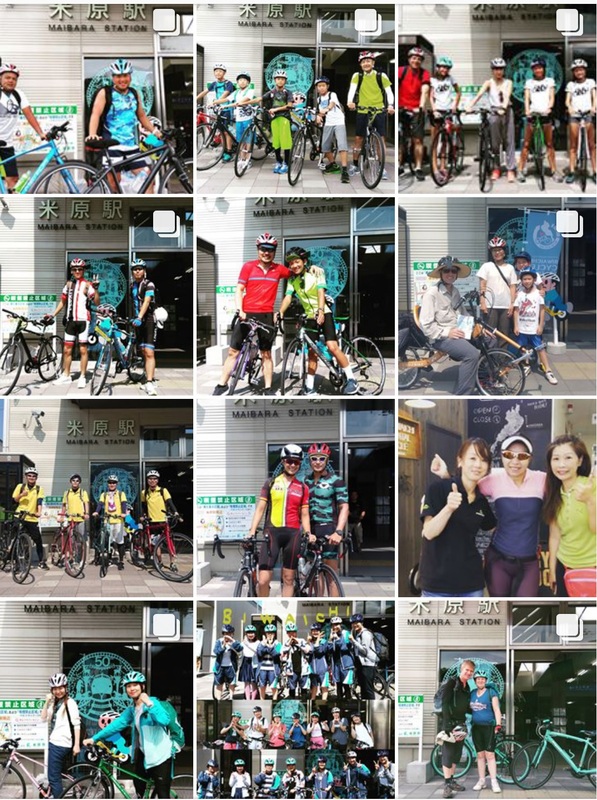 Then, we will work on our customer’s bicycles return outside the station. We will let them know the details individually.